Amazon.com Price: $89.99 (as of 2019-04-25 14:02:43 GMT) Product prices and availability are accurate as of the date/time indicated and are subject to change. Any price and availability information displayed on Amazon.com at the time of purchase will apply to the purchase of this product. 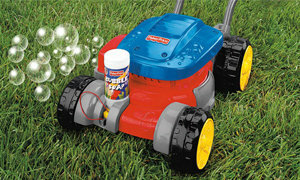 The Fisher-Price all new Bubble Mower will keep bubbles blowin’ for a whole lot of mowin’! 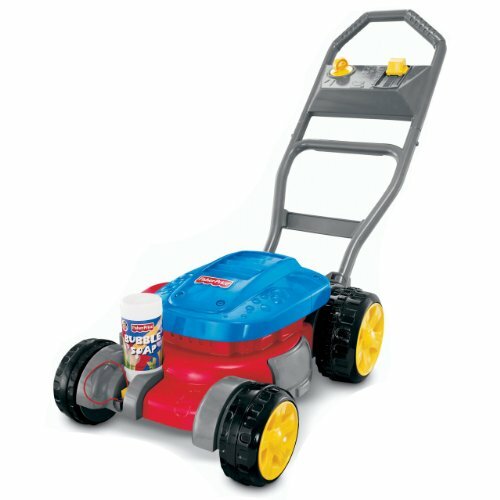 Your child will feel just like a grown-up when they turn the electric start key, push the realistic throttle and “mow” almost anywhere thanks to all –terrain tires that give tougher traction on long grass, gravel and carpet. For children ages 2-5 years. 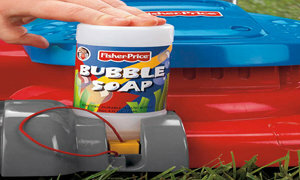 Fisher-Price Little People Lil’ Movers School Bus Just $15!